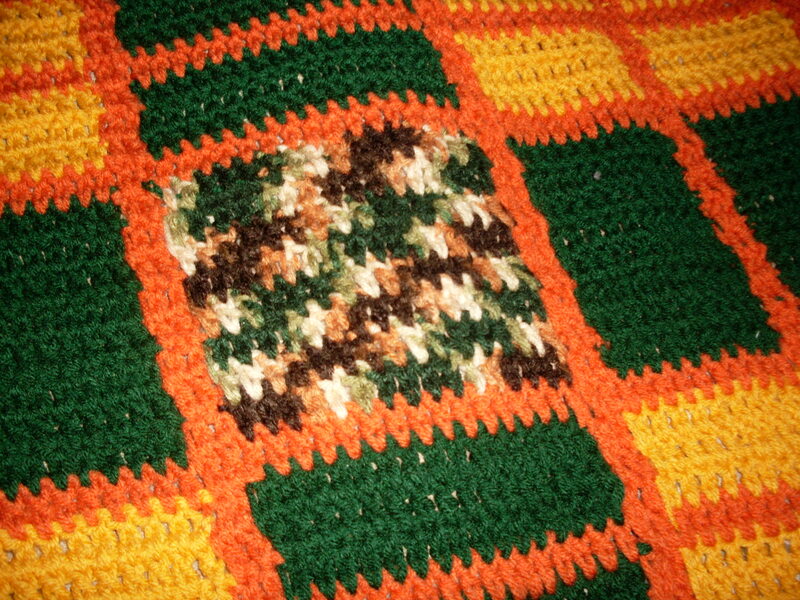 Custom Designer Hand Crocheted Pumpkin Patch Plaid Blanket, is a Jewels Designs Original. It’s size is 59″x 77′” (not including fringe which is 7″ long) and can fit up to a Full Size Bed or used as a large throw. 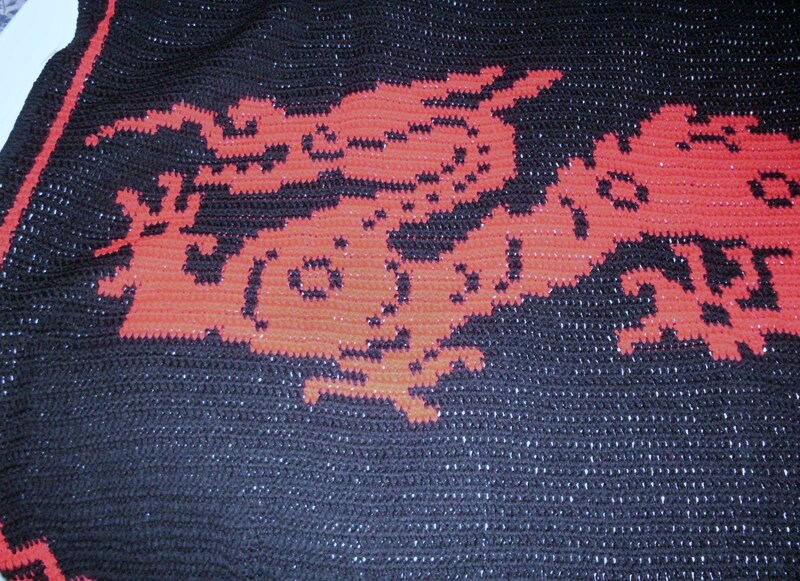 It’s made with high quality easy care yarn, that can be machine washed and dried. It won’t shrink, fade, bleed, or unravel, it’s professionally finished and there are no loose ends. This piece look as good on the back as it does on the front. It’s made to last for generations. 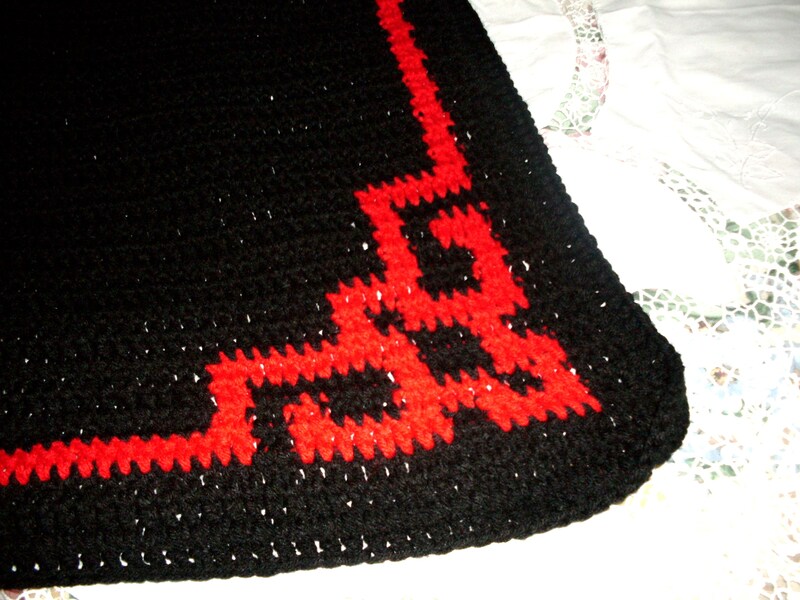 Limited custom orders are available for this blanket. 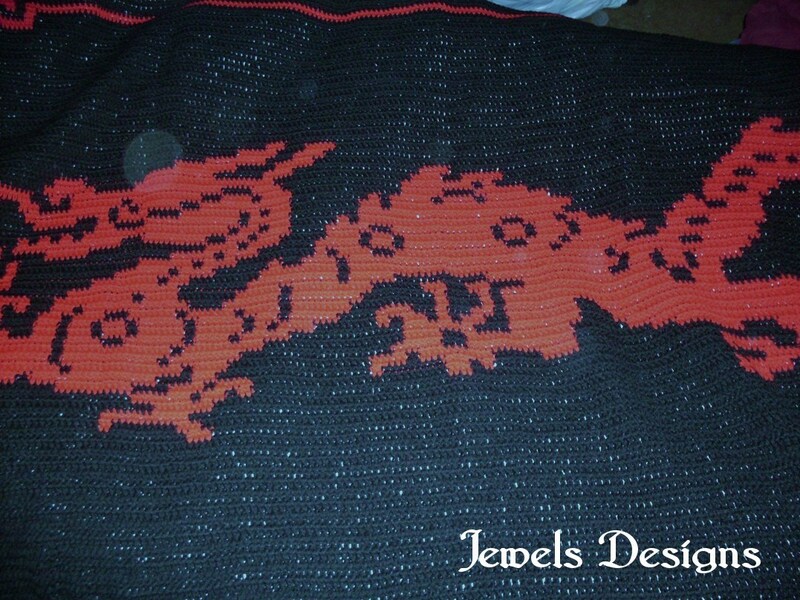 This piece is a part of our Bedspread Gift Shop, and is an exclusive of Jewels Designs. 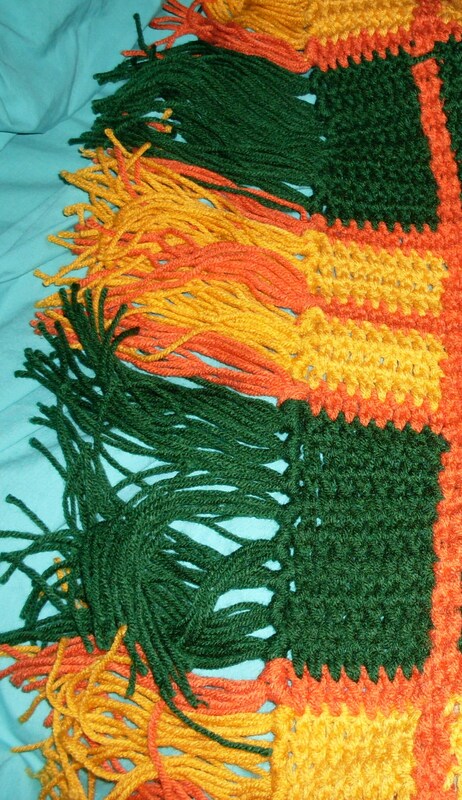 Colors: Tangerine, Green, and Variegated Green, Peach & Brown. 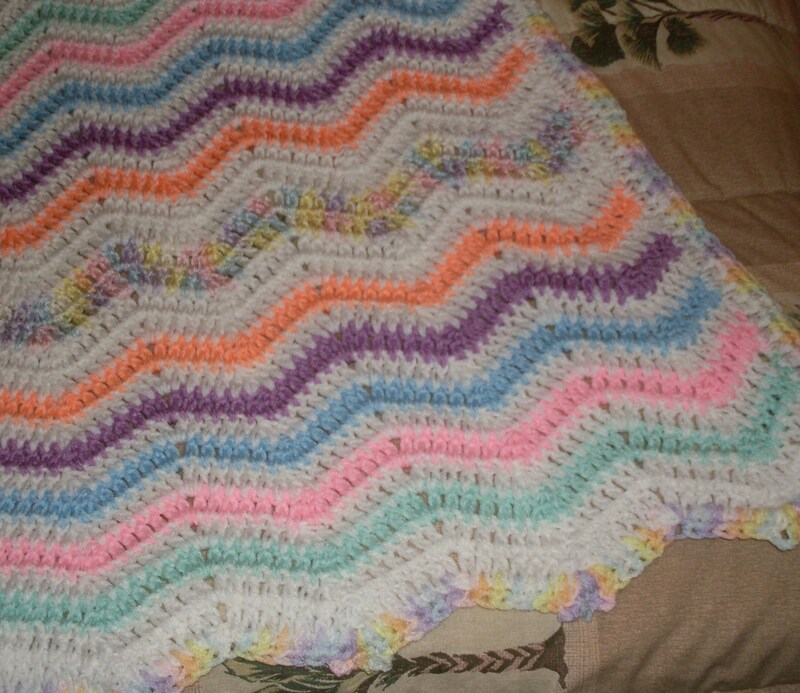 This is a hand crocheted, Designs Original Blanket from Jewels Designs. It measures 55″x 85″ and can fit up to a Queen Size Bed. 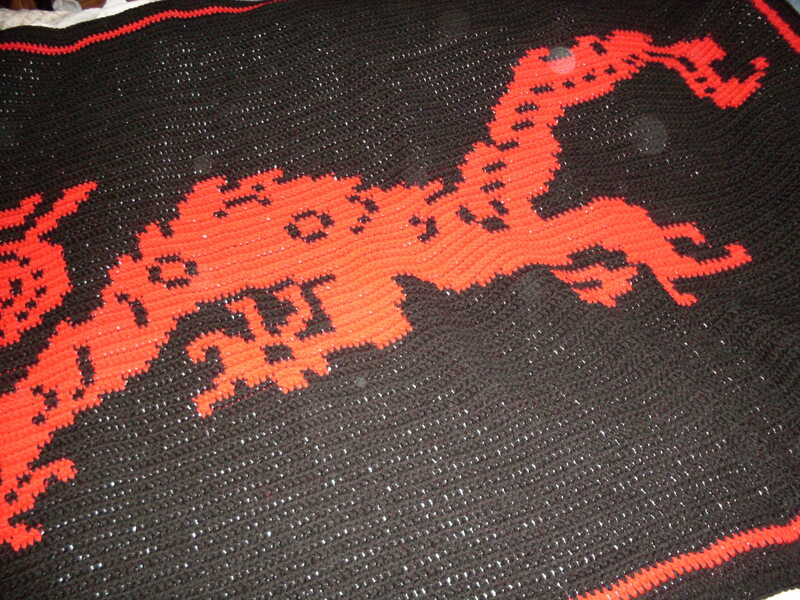 It’s made with high quality cherry red and black yarn (not orange). 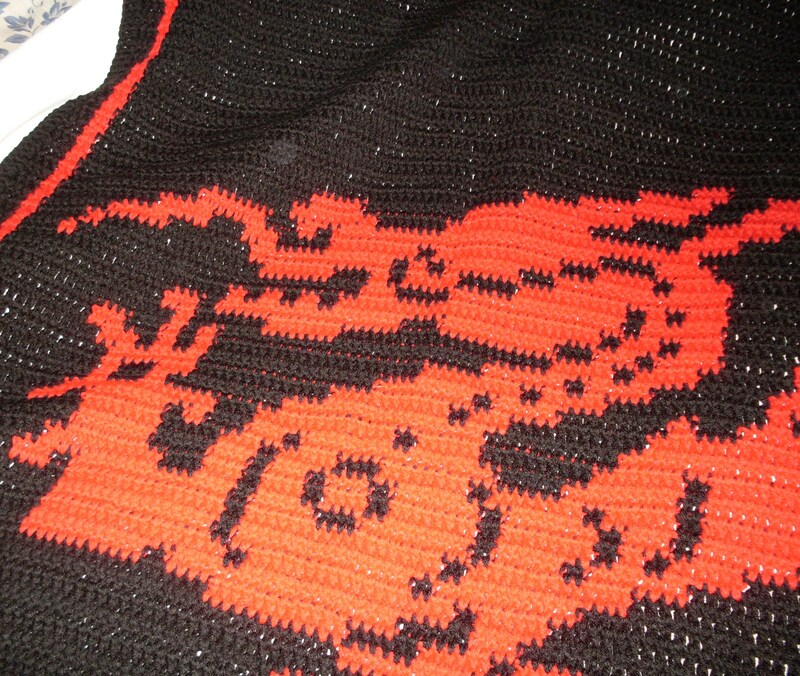 The edges are professionally finished and there are no hanging/loose threads. Can be machine washed and dried, and will not run, bleed, shrink, or fray. This work of art is made to last for generations. 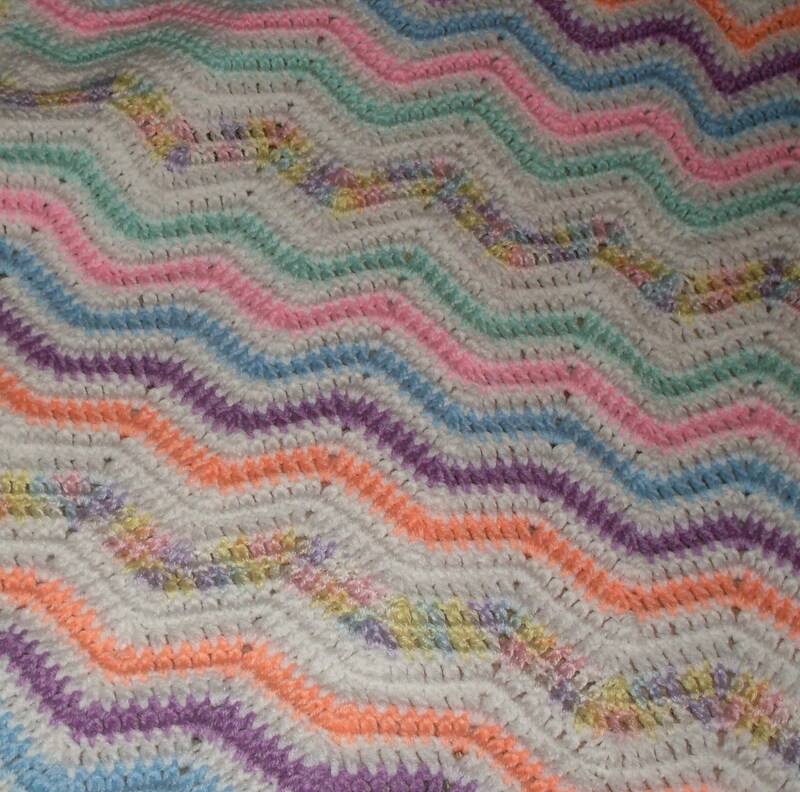 Check out all of our blankets in Jewels Designs Bedspread Gift Shop. Right now there is only one of these available. 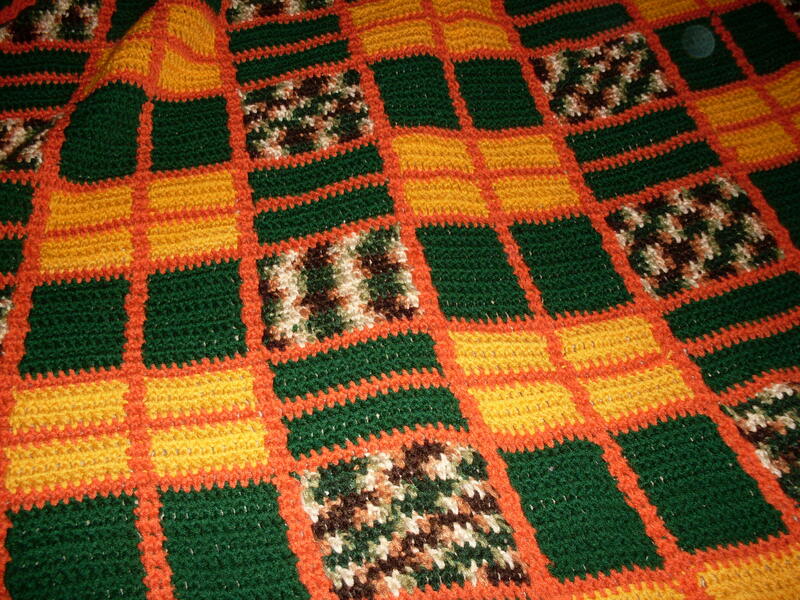 We will only be taking limited custom orders for this blanket. If you would like to place an order (your choice of size) send us an email. If you would like to buy this piece, follow the links below.